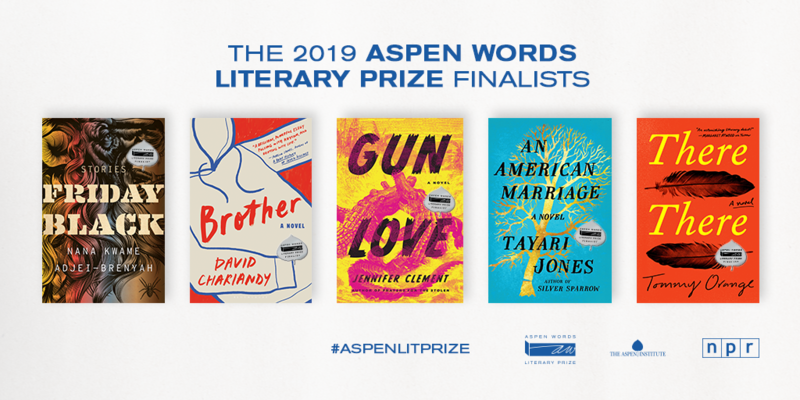 Co-presented by the Aspen Institute and NPR Books, the Aspen Words Literary Prize Ceremony will take place at the historic Morgan Library on April 11. Renee Montagne, Special Correspondent and Host for NPR News, will lead a conversation with the finalist authors and the program will conclude with the live announcement of the $35,000 prize winner. A celebratory reception will follow, with all books available for purchase. Renee Montagne, one of the best known names in public radio, is a Special Correspondent and Host for NPR News. Since beginning as a freelancer in the 1980s, she has worked with virtually every desk at NPR News: national, foreign, science, and arts. In 1987, she was named co-host of “All Things Considered.” From 2004 to 2016, Montagne co-hosted NPR’s Morning Edition, the most widely heard radio news program in the United States. She and a team of NPR reporters won an Alfred I. duPont-Columbia University Award for coverage of South Africa’s historic 1994 elections. Since 9/11, Montagne has made ten extended reporting trips to Afghanistan, profiling Presidents Ghani and Karzai and traveling at times at great risk, and has been honored for her coverage by the Overseas Press Club, the Feminist Majority, and the Gracie Awards. Montagne’s most recent assignment has been a yearlong collaboration with ProPublica reporter Nina Martin, investigating the alarming rate of maternal mortality in the U.S., as compared to other developed countries. The series, called “Lost Mothers,” has won every major award in American journalism, including a Peabody award, a George Polk Award, Harvard’s Goldsmith Prize for Investigative Journalism. The series was also named a finalist for a Pulitzer Prize.